When I was around 12 years old, I was out fishing with my Papaw (grandfather, for my non-country audience) and I learned one of the most valuable lessons of my life. I was an over hyper pre-teen with ADHD and couldn’t sit still and was having no luck what so ever catching fish. 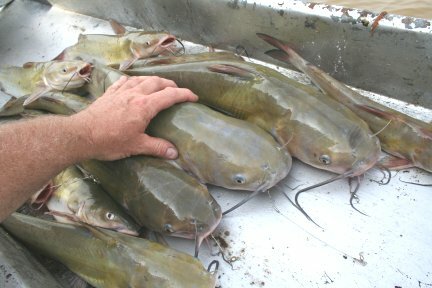 My Papaw though was catching a bucket full of catfish. He looked at me and finally said “Kevin, if your ever going to be a good fisher men you have to have patience. Sometimes if takes awhile for the fish to bite.” Of course at 12 that was one of the last things on my mind. A few months (and by a few I mean 2) into my current youth ministry, I decided I did not like the programming in our youth ministry. I felt justified because I was told the youth ministry needed a fresh perspective and a new direction when I was hired. So I set about putting programs that I thought (and still do) were can’t miss programs in place. They worked for me elsewhere. Why would they not work here? Should have listened to my Papaw! A while down the road, those programs crashed and burned, not because they were bad programs but because I wasn’t patient. I didn’t wait to find out about this new church, new ministry setting, and different breed of teenagers. I was in what most people would consider rural youth ministry in both churches I’ve been in. My first church though, was more suburban in feel and the church I am at now, even though it’s bigger, is far more country in feel (I don’t think there is a youth group that goes by that either myself or one of the students is not wearing some sort of Camo!). Patience is the key of youth ministry, especially when you’re first starting out at a new church. So what are some specific ways we can be more patient? 1: Wait before making changes! Just because your the new guy in town, you don’t have to come out all guns blazing! Be patient, and get a good understanding of your particular setting and church environment. Think an after football game program would go well? You may be right but what if your local school doesn’t even have a football team? Wait and feel these things out. 2: Look before you leap! When I saw an awesome free youth ministry event at my previous church, I jumped all over it! I’m the youth pastor right? I’m the one the church chose to be in charge of the youth and I know best right? Wrong! The senior pastor was not for this event at all, the deacons at the church weren’t behind it, and I had no church support. Results? The event failed,we raised no money for the event, and it was a failure. Look before you leap! Be patient, who do you need approval from? The event is next week? Then you might have to skip it this year and do it next year. 3: Wait before you leave! I knew God was calling me away from my previous church, through various exchanges and the changing church climate. I would also say that I exercised extreme patience and waited almost too long before I left. There was a benefit to that though, I was able to see the church through a transition. Then I was able to leave and enter my current setting having learned a life lesson. Sometimes reacting out of the heat of the moment, or a bad night at youth group, is not God’s plan. Be patient, ask yourself is this God leading me away or teaching me something?